I’ve always loved birthdays. They’re a chance to take stock of things in your life; to look back on the ways you’ve grown and to look ahead at all the possibilities the next year (and more) can offer. Today is NGN’s second birthday. For a blog, a first birthday is great, but a second birthday is something to really celebrate. The first year is all about running on adrenaline, building something from nothing, and throwing things at the wall to see what sticks. But the second year—that’s when the fun really begins, but it’s also when the work really begins. The second year is about keeping your readers interested in what you have to say after the initial novelty has worn off. The fact that so many of you have stuck around means the world to me. At NGN, this year has also been about discovering a real purpose. When I started this blog, I had no idea what it would become. For one of the first times in my life, I didn’t have a plan or lofty goals; I just wanted to write about what mattered to me. Since then, I’ve watched people gravitate towards NGN for its generally positive tone and the passionate but respectful discussion it inspires. At the risk of sounding cliché, I can’t find the words to describe how happy it makes me to think that this is what NGN is known for. The Internet can be a nasty place, so it fills me with a deep sense of joy and also a very motivating sense of purpose to know that people come here to talk about their favorite TV shows (as well as movies, books, and other passions) in an environment that makes people feel welcome and encourages sincere discussion. Tomorrow I’ll return to my regularly-scheduled Castle recapping (How amazing was that 100th episode, by the way? ), but, for today, NGN has a milestone of its own to celebrate. My name is Katie, and I’m a nerdy girl. 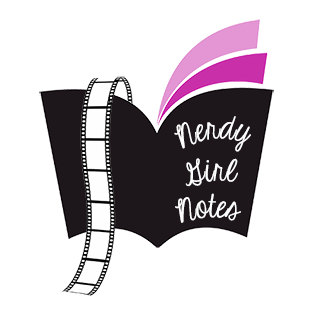 With that confession, Nerdy Girl Notes was born. It’s been exactly one year since I first shared my nerdy side with all of you, and what a year it’s been. I can honestly say that this year has been one of the most creatively and intellectually rewarding of my life, and I feel honored to have shared this year of writing with some truly incredible people. To quote my personal hero Leslie Knope, “No one achieves anything alone,” and this year has taught me that more than any other. I’m forever indebted to the smart, funny, and slightly insane (they have to be to be friends with me) writers and artists who’ve shared their talents with NGN, making this blog (and its Facebook and Twitter) look pretty and creating content that is as insightful as it is entertaining. I especially have to thank Heather and Leah, two women who have not only covered for me with excellent posts when I needed a pinch-hitter; they’ve been two of my most wonderful sources of support throughout this first year of NGN. For anyone who thinks the only friends you can make on the Internet are future axe-murderers, I present these two lovely ladies as a counterargument. In addition, I just want to thank all of you who’ve taken the time to comment on here; reblog things I’ve written on Tumblr; or share a link to NGN on Twitter, Facebook, or any other form of social media I’m too technologically-illiterate to understand. You have no idea how thrilled it makes me to think that people who aren’t obligated to tell me they like this website (aka my mom) actually enjoy what I write. The best lesson I’ve learned this year, though, is a simple one: If you work hard and feel passionate about the work you’re doing, good things will happen. NGN has been a labor of love from Day One, and I’m so excited about where the next 365 days and beyond will take it. Thanks to all of you who’ve proven to me by your readership, your comments, and your friendship that the life of a nerdy girl is the most fulfilling life imaginable. This year has been one heck of a journey. Thanks for going along on the ride with me. Here’s hoping the next year will be as fun, fruitful, and fabulous as the first!